Imagine a private club where presidents, prime ministers, international bankers and generals rub shoulders, and where the people running the wars, the markets, and governments say what they would never say in public. A conference known as the Bilderberg meeting has developed an interesting reputation over the past half-century, with millions of people around the world believing global events like wars and financial policy shifts are planned at this annual event. When this meeting is brought up in mainstream circles, it is often disregarded as a “conspiracy theory”. 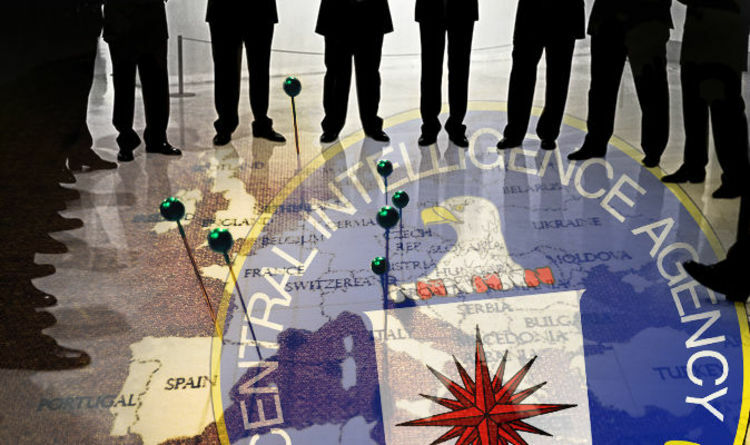 But according to declassified CIA documents the agency has had its eye on the Bilderberg group since just before its first meeting on May 21, 1954. Mr Aalders said: “They tried to use all the institutes they could get to steer the public opinion in Europe, and actually also in the rest of the world where they had influence and Bilderberg was one of them. “And that was the reason that they financed Bilderberg’s first meeting. There is little doubt that the CIA, according to the film, sponsored the formation of the Bilderbergs, and continue to do so, to this day. Kai Bird’s account in "The Chairman, John J. McCoy, The Making of the American Establishment", states: "In late 1952, Retinger went to America to try the idea out on his American contacts. Among others, he saw such old friends as Averell Harriman, David Rockefeller, and Bedel Smith, then director of the CIA. After Retinger explained his proposal, Smith said, ‘Why the hell didn’t you come to me in the first place?’"
He quickly referred Retinger to C. D. Jackson, who was about to become Eisenhower’s special assistant for psychological warfare. It took a while for Jackson to organize the American wing of the group, but finally, in May 1954, the first conference was held in the Hotel de Bilderberg, a secluded hotel in Holland, near the German border. Mr Bird added: “Prince Bernhard, and Retinger drew up the list of invitees from the European countries, while Jackson controlled the American list."